« PLANTS VS. ZOMBIES: LAWNMAGEDDON SELLS 17,000 COPIES! Bluewater Productions will be releasing a new comic book about the star of the top rated television program. 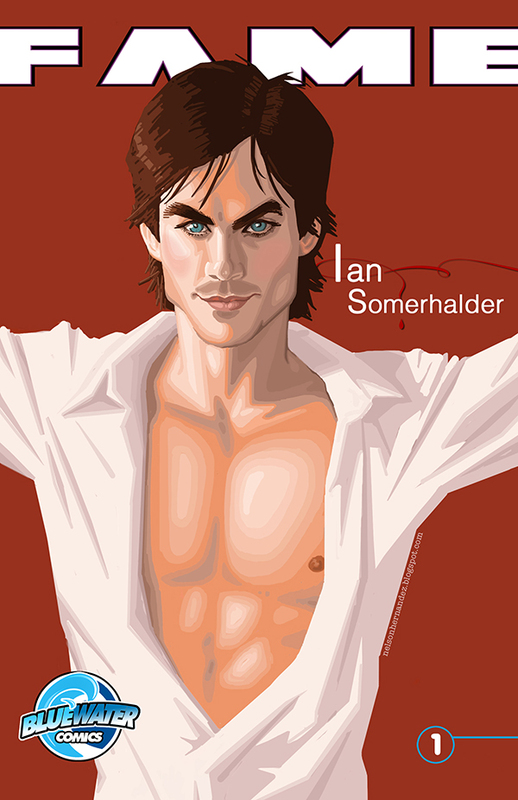 The Vampire Diaries Ian Somerhalder. Fame: Ian Somerhalder is released this week; the comic book will be available in print and digital. From actor of Lost and The Vampire Diaries to environmental activist, Ian Somerhalder is someone who cares deeply about the craft of acting and the stewardship of the planet. Read the life story of the young actor who works to restore the gulf after the devastating effects of the BP disaster while balancing the demands of Hollywood stardom. Michael L. Frizell writes the 32-page comic book with art by Manuel Diaz. The comic book will feature a cover by famed artist Nelson Hernandez. Bluewater Comics biography comic book series has been featured on CNN, The Today Show and in Billboard, Rolling Stone, People Magazine as well as many other publications. This entry was posted in Columns and tagged bluewater productions, CNN, Ian Somerhalder, Manuel Diaz, Michael L. Frizell, The Vampire Diaries. Bookmark the permalink. Follow any comments here with the RSS feed for this post. Post a comment or leave a trackback: Trackback URL.